The debate about the need for theatre reforms in Ukraine continues. The discussion of the recently adopted law on the competitive selection of directors of state cultural institutions (2669-d) has taken the public debate to a national level. Representatives of state theatres, independent artists as well as politicians, officials and a circle of interested parties all took part in writing open letters, articles, blogs and countless comments. Just like in Ukraine, cultural institutions in Europe and America, whom we often take as reference for the domestic theatre community, are in constant dialogue, and sometimes confrontation, with the authorities and the public. What do contemporary theatre systems look like in different countries, how does dialogue between the theatre and public take place, what works for and what irritates theatre professionals in different countries? In most European and North American countries, there is a dividing line between state and independent theatres. In addition, a network of commercial theatres operates. Two examples of quality commercial mass culture are New York’s Broadway and London’s West End. 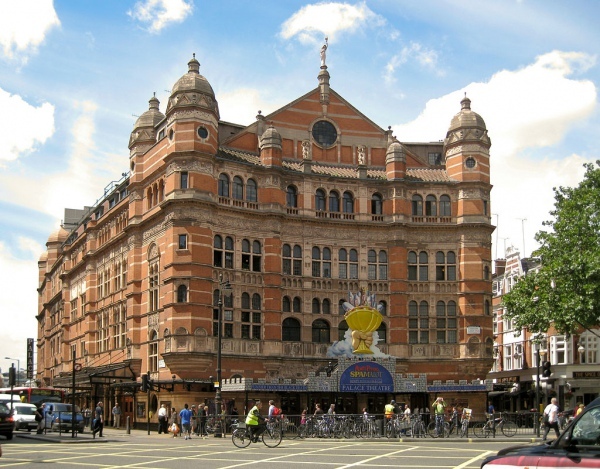 Unlike profitable theatres, money from the state coffers is distributed among state and independent theatres through constant funding and the grants system. Each state has its own priorities and system for allocation funds. They are most frequently administered in European countries by state institutions. State theatres have stable annual funding, while independent theatres receive state funds through a grants system. 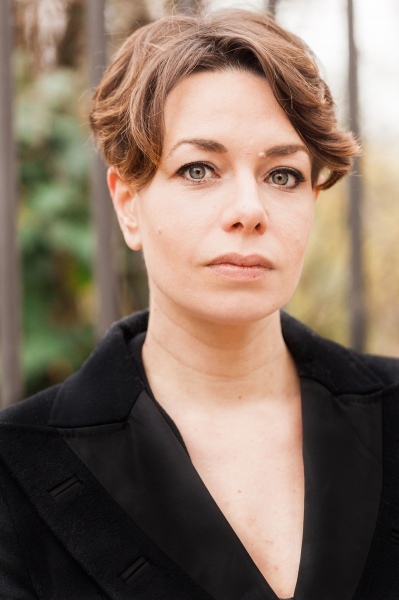 Playwright and director Katharina Schmitt (Studio Hrdinu theatre, Prague/Berlin) says that in Germany and the Czech Republic repertory theatre still holds a dominant position. Its influence is also due to the fact that the system of public funding encourages both state and independent theatres to focus on repertoire work. The theatre model in Slovakia is very similar. It is important for independent theatres to obtain grant funding for individual projects and annual support. In 2016 the Ministry of Culture of Slovakia launched a renewed grant programme called The Culture Fund, which, according to theatre critic and editor-in-chief of kød magazine Milo Jurani (Bratislava), should be more transparent, more open and less bureaucratic. Funding systems differ somewhat in Canada. The Canadian model has been adopted from the UK. Funds are distributed through special independent art councils following the so-called “at arm’s length” principle, which in this case means non-interference by the authorities in decision-making processes. Funding takes place on three levels: federal, provincial and municipal. At the federal level, funds are distributed through the Canada Council for the Arts. In addition, there is a separate federal institution, Canadian Heritage, which directly, without the participation of arts councils, funds individual cultural projects. Nevertheless, projects rarely receive full funding. 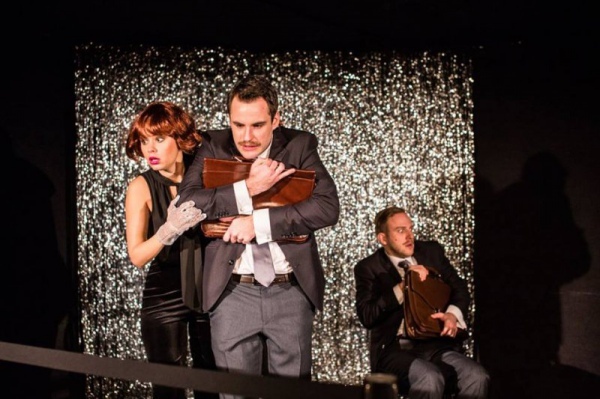 Usually a theatre company will obtain 40-60% of the required budget. Theatres may receive additional funds from provincial governments for operating activities and infrastructure maintenance. Discussions on the process of choosing a theatre director, such as those taking place in Ukraine, also take place in other countries. However, in contrast to the Ukrainian situation where a significant section of theatre professionals opposes the implementation of competitive selection, artists in Europe support such a system. Conversely, the dissatisfaction of theatre communities can cause public institutions to try to interfere in the competitive selection process. Germany has the most established selection system where every four years a competition is announced for the positions of executive and artistic directors. Teams submit applications that include the concept and theatrical vision for the theatre’s development. There have been cases where the same team managed a theatre for several terms. Katharina Schmitt notes that despite the fact that the system has been in place for a long time there is constant public debate in Germany about the need for regular change of theatre management. A similar system exists in the Czech Republic, but it does not always function well. Competition announcements are sometimes published quite late and, as a result, applicants do not have sufficient time to prepare a serious programme for the theatre’s development. There are theatres operating in the Czech Republic whose management has not changed since the 1990s. In Slovakia, as Miroslav Jurani notes, there are problems with the practical implementation of competitive selection too. Local authorities sometimes replace the competition with direct appointment of theatre directors. 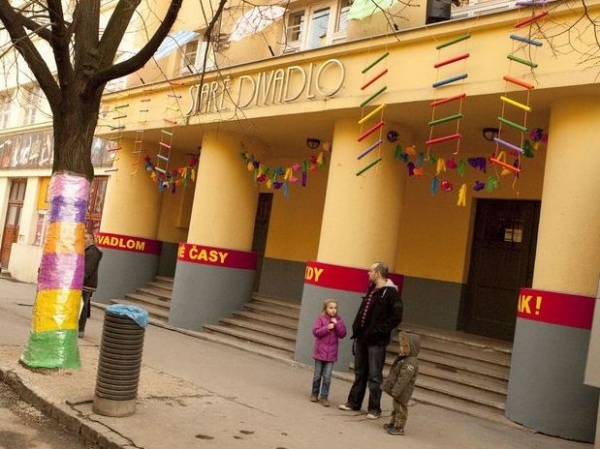 Recently, the appointment of a director without competition of the Theatre of Karol Spisak in Nitra provoked criticism. In Canada, executive and artistic directors are elected by a board of directors which every theatre must have. Michael Rubenfeld argues that the effectiveness of such a system depends directly on the performance of each individual board. The work of each board is further complicated by the fact that these boards are made up of volunteer advisors. In addition, the board of directors is financially responsible for the theatre, so they often consist of lawyers, accountants, fundraisers who can ignore the artistic needs of the theatre. In the best theatres, the board of directors is selected by special committees for the selection of personnel consisting of prominent leaders in the creative community. Incidentally, a parody of the activities of these boards of directors can be seen in “Slings and Arrows”, the old Canadian series about theatre. Experimentalism, the possibility of going beyond the boundaries of conventional forms and complete independence, attract artists, persuading them to leave stable jobs in state theatres. We can get an idea of the work format on the independent scene with examples of several successful foreign theatres. The Cologne-based Futur3 theatre founded by art academy graduate Andre Erlen with like-minded people is strongly rooted in the local topography. Their debut performance, City Bites, analysed the local space and was shown in seven different places. Andre Erlen notes that it is important for a theatre to go beyond classical theatre buildings that have “seen” thousands of productions, and have the desire to work in places that are used for the first time as theatre space. 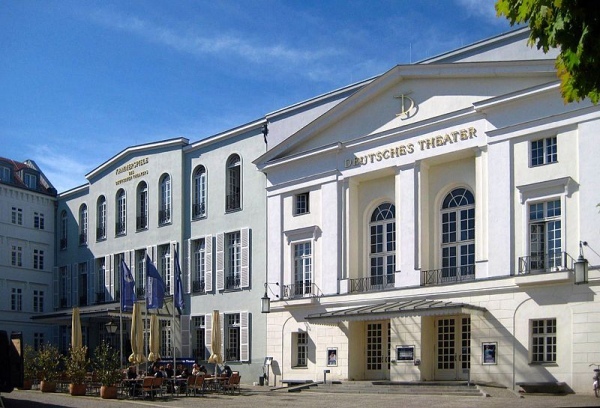 Another important principle of the work of the Cologne-based theatre is avoiding the hierarchy and dictates of one director: the entire collective is involved in the creation of the performance. Theatre performances are preceded by thorough research and detailed study of the topic. 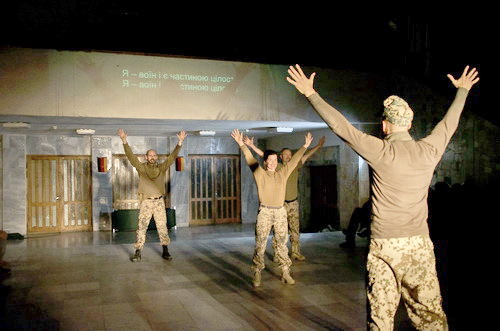 In 2013, the theatre brought A Night in Afghanistan for the Drama.UA festival held in Lviv. The performance, during which the audience found itself in the play space along with the actors, addresses the problem of the traumatic daily life of German soldiers serving in hot spots against the background of general ignorance and criticism of militarism in contemporary German society. One of the theatre’s new projects is the critical study of contemporary/modern audience who, according to Andre, expects a totally different theatre. The theatre that, similar to a church, dictates what to do and how to behave, will not retain new audiences. 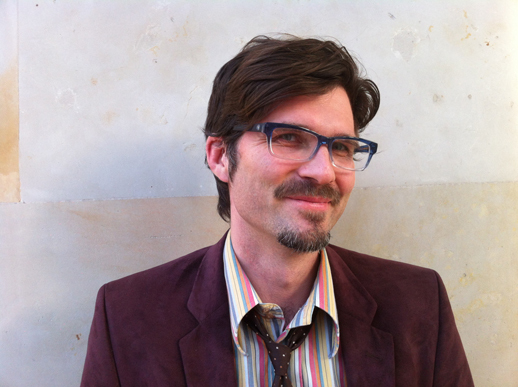 Overall, Andre Erlen emphasises that independent theatre in Germany has long departed from the model of acting that requires total transformation into a character. 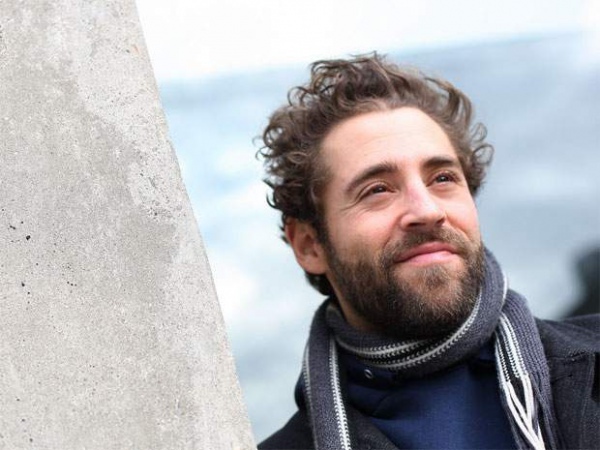 The subjective position of the actor – “I’m Andre. I am here today with you and I’ll tell you a story...” – is the key to interacting with a contemporary audience. An important part of the work of independent artists in Germany is applying for grants. As Andre points out, “You can certainly be an amateur and work without money, but if you want to be an independent artist and handle this as a profession, this is part of your work”. Unlike many artists who try to avoid grant work, for Futur3 this represents another way of rethinking one’s own art project and clearly formulating the concept. 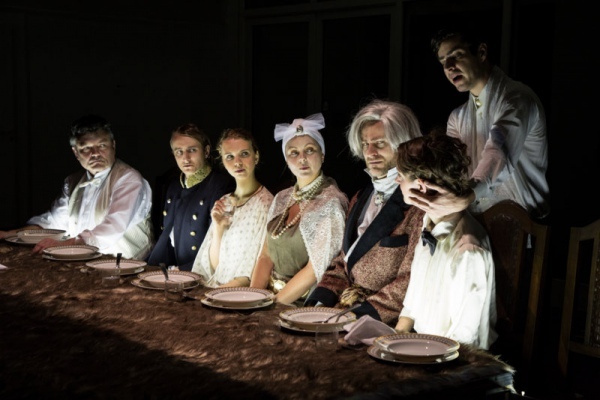 Another new platform that challenges traditional notions of theatre as a stage-box from which actors speak is the Prague-based Studio Hrdinu. 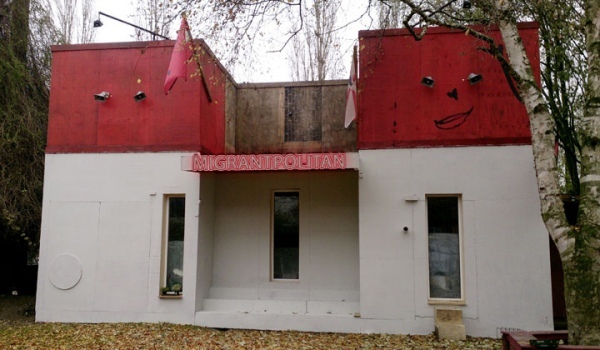 As Katharina Schmitt explains, the trigger for its emergence was the closing down of the Comedy Theatre, after which a section of the workers created an original institution in the Czech theatre context that works at the intersection of visual art and theatre. Studio Hrdinu won the city competition and received a hall in the National Gallery. Some of the theatre’s performances take place directly in the exhibition space. This highlighted attention to contemporary art arose primarily from a desire to overcome widespread stereotypes in Czech society about the existence of theatre exclusively in the context of literature. In the four years of Studio Hrdinu’s existence, it has been nominated by critics as the Best Theatre of the Year on three occasions. Active participation in public life is the norm for many European theatres. One of the most discussed topics in contemporary German public space is the refugee issue. 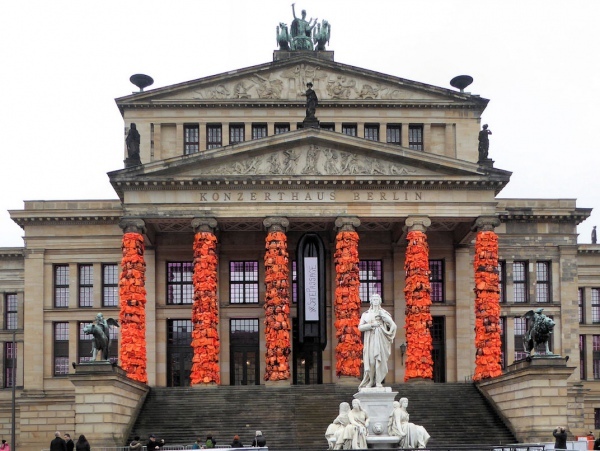 It is addressed and interpreted even by international artists like Ai Weiwei who created a huge installation made of 14,000 life jackets wrapped around the columns of a concert hall where the Berlin Film Festival was held, and by many other lesser-known artists and theatres around Germany. However, not everyone has called on giving support to refugees like Ai Weiwei. In December 2015, the famous Latvian Director Alvis Hermanis cancelled his play Thalia at a Hamburg theatre because, according to the director, he felt threatened by the German policy of openness and as a result of his opposition to the principal position of the theatre, which was helping refugees. The Slovak theatre is more focused on issues of its national identity and the activities of contemporary political elites. Both independent theatres and great state ones (including the Slovak National Theatre) produce performances on highly social themes. One of the latest was the large-scale grotesque production of Mojmir II or the Twilight of an Empire, which attempted to consider Slovak identity as the result of a division between the West and Russia, and criticised the glorification of mythical historical events in contemporary Slovakia. On the other hand, the Astorka Korzo 90 cabaret theatre has gained popularity. It openly criticises the leadership of the Slovak party Direction – Social Democracy (Smer). In 2015, an open confrontation unfolded between the theatre community and politicians. The catalyst for protests and debates was the conflict between Marian Kotleba, the extreme radical right-wing leader of People’s Party Our Slovakia, who won the election in Banska Bystrica and local theatres. The refusal to fund a dance festival and ban on performances opposing xenophobia and racism mobilised the majority of Slovak theatres, which responded promptly with petitions and support performances. The conflict continues, but what is interesting is that Kotleba sent an open letter in January 2014 to then Ukrainian President Yanukovych with a request not to negotiate with the “terrorists” on Maidan. Apart from many similarities between Ukrainian and world theatres, it is hard not to note some significant differences. First of all, the virtual absence of an independent scene in Ukrainian theatre should be noted. The existence of several independent or alternative theatre initiatives does not negate the fact that there are no rules of the game in Ukraine that would, at the legislative level, regulate relations between independent artists and the state. Another important aspect is the lack of procedures and competitions that would, on the basis of clear and transparent principles, provide for the allocation of state funds to all the participants of the theatre process. In addition, the isolation of Ukrainian theatres and lack of interest in global artistic and social contexts deprives it of the ability to adopt best practices, study the processes of positive change and to analyse possible threats and challenges. 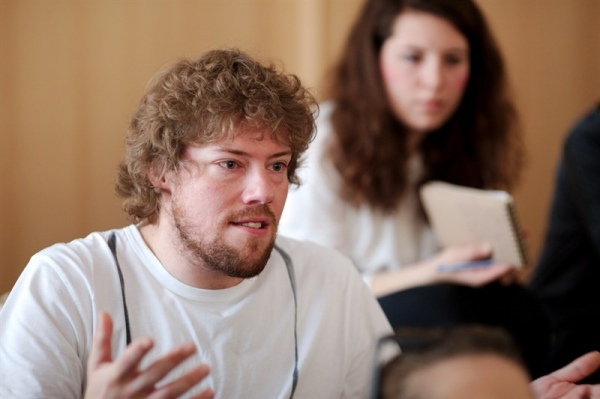 How to Get a Grant for a First-Class Postgraduate Degree in the Arts?